A marketing professional I have admired for some time time, is Mr.Jim Mintz a co-founder of the Centre of Excellence for Marketing in the Public Sector. 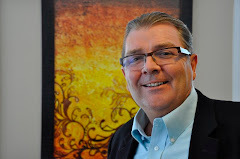 Jim has been on the leading edge of public sector marketing most of his marketing life. One common misconception Jim always points out, is that public sector organizations feel they don't need to market. Jim's article below, shows you; if you are an association, that you need to market too. A number of years ago, I was asked to make a presentation to the Ottawa Chapter of the Canadian Society of Association Executives on the topic of marketing for Nonprofits with emphasis on Associations. My contact at the CSAE felt that marketing should be a major focus of Associations but was rarely applied to any significant degree. At that time, I looked at some of the key functions of an Association and make a connection between marketing and these functions. Here are some of the areas where I felt that marketing is relevant to an Association. • Executing integrated marketing communications campaigns: direct/database marketing, advertising, promotional activities, on-line/digital marketing, event marketing, exhibiting/trade shows, public relations publicity, education materials, print, videos etc. As you can see, many of the principles that were applicable over a decade ago are still very much aligned to today’s nonprofit environment. It is also clear from our recent research that Associations face even greater challenges such as demands for improved service delivery under tight budgetary constraints, the number of new associations resulting in enormous competition for people’s time, attention and dollars and a need to improve communications and services with clients, constituents/stakeholders, volunteers and donors. Thanks to Jim for his comments above. So you can see, when it comes to marketing your product or service, it really does not matter what industry or public sector environment you are in. At the end of the day the main point is; are you communicating with your audience, are you promoting or developing your brand, are you generating business, ( leads, new members, selling product) and are you moving your organization forward? Too often communicators and marketers believe that they don't need to be marketing all the time. They think they can just put the organization out there and it will be found. As you can see from Jim's article above, that it's important for every organization to consider marketing all the time. Thanks to Jim Mintz for his comments in this post, Kensel J. Tracy, is a business coach and Senior Partner with the Corporate Coachworkz Inc.